Caledon, Ont. 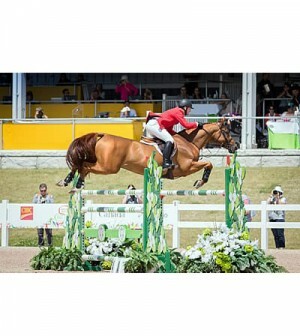 – The final team medals in equestrian competition at the 2015 Pan American Games were decided this afternoon with the U.S. team taking the Team Bronze medal. The Nations Cup proved extremely competitive over both rounds of competition with clear rounds coming at a premium. 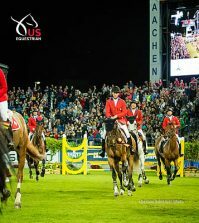 The team comprised of Georgina Bloomberg, Kent Farrington, Lauren Hough, and McLain Ward finished on a total of 12 faults. 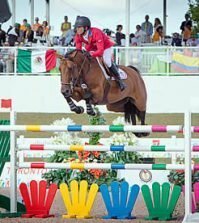 The home nation of Canada won Team Gold on seven faults and Argentina took home their first team Pan American Medal in decades – a Team Silver on eight faults. The U.S. Team got off to an unlucky start in round one, with each combination having one rail down on-course to go into round two sitting in sixth on 12 faults. The team entered the arena for round two determined and performed an impressive four clears, a feat not matched in either round. Ward (Brewster, N.Y.) and Sagamore Farms’ Rothchild served once again as pathfinders for the U.S. Coming into the first double combination on course at 4A, Rothchild had a light touch behind to knock the rail, resulting in four faults. 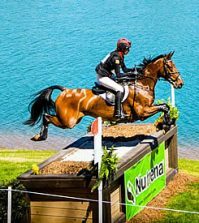 The veteran pair jumped an otherwise excellent round and adjusted in the second round to turn into the first of four clear rounds for the U.S. in round two. Competing in her first championship, Bloomberg (New York, N.Y.) handled the pressure and proved her mettle. With a block down off the wall at fence six in round one, Bloomberg and Gotham Enterprizes, LLC’s Lilli, jumped an otherwise perfect two rounds. The Michel Vaillancourt-designed course had a tight time of 83 seconds allowed, leaving no room for error. Bloomberg and Lilli came through the finish times in a neat 83 seconds, to post zero faults in round two. 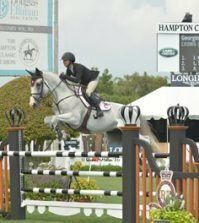 A veteran of Olympic and Pan American Games, Hough (Wellington, Fla.) piloted The Ohlala Group’s Ohlala in the mare’s first championship competition. Picking up four faults at the entry to the triple-combination at fence 9A, the combination returned in round two to turn in one of the fastest clear rounds of the day. 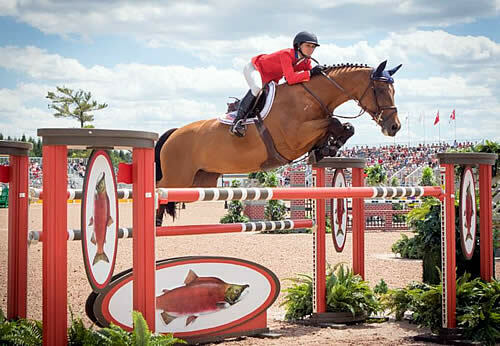 Farrington, currently ranked third in the world, brought his and Robin Parsky’s young, talented mare Gazelle to gain valuable experience in the mare’s first Nations Cup. The pair had the same rail down as Hough at 9A and also added one time penalty to their total in round one. The mare built on her experience and produced a confident, faultless effort in round two. Saturday’s individual final will see the 35 best-placed combinations according to the cumulative penalties over the first and second competition. Nations with four combinations in the top 35 will send forward their three best-placed combinations. For the U.S., Bloomberg, Hough, and Ward will compete. Competition gets underway at 11:00 a.m. ET and will be broadcast and streamed live on ESPN3 and WatchESPN.